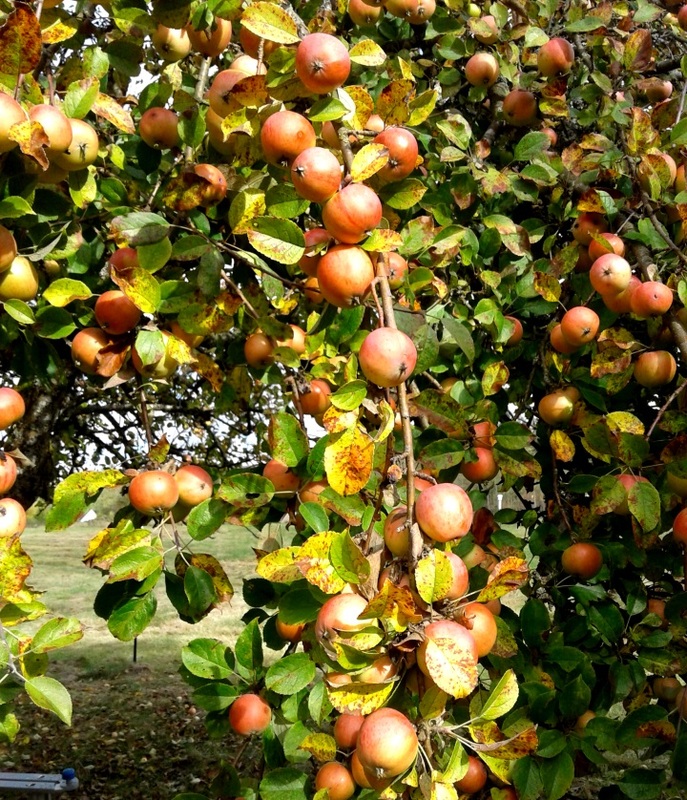 They say the bee population is suffering these days but the apple crop this year was epic! As soon as the sun comes out I grab the go bag and head to the field to try and capture the apples that seem to glow like Christmas lights against the greys of fall. It can be a bit complicated to pick out a pleasing arrangement amid the cornucopia of abundance but you just have to make a stand and get to work. After studying this group of apples I realized the cast shadow on the one apple was drawing my attention. 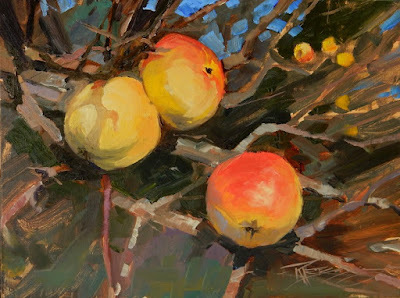 I very loosely rendered the surrounding branches to keep the apples as the main attraction. My next post will include the painting I did from this tree which is another one loaded down with fruit this year. 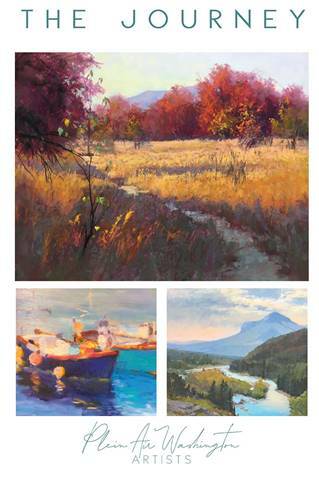 If you happen to be in the Pacific Northwest in December consider coming to the Plein Air Washington Artists end of the year show at the American Art Company. The Show is called The Journey and will be made up of a studio painting inspired by a plein air painting. Wow! That's beautiful! Nice job!